The Tug of War - This Satirical Engraving which is hand coloured is very of the moment, bearing in mind the Brexit negotiations. Harding Cox (English) painted the original and Mansell of London produced the engravings in 1899. This framed engraving is large and makes for a very striking image and indeed a much talked about one at my Gallery. The British canine fully in charge of this tug of war and the French and Portuguese dogs in disarray. 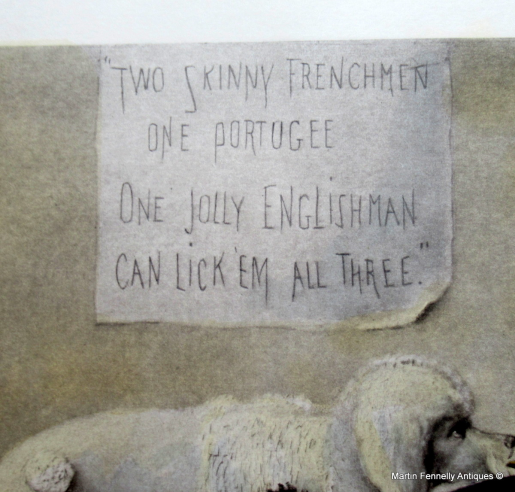 The caption reads "two skinny Frenchmen one portugee, one jolly Englishman cam lick em all three". 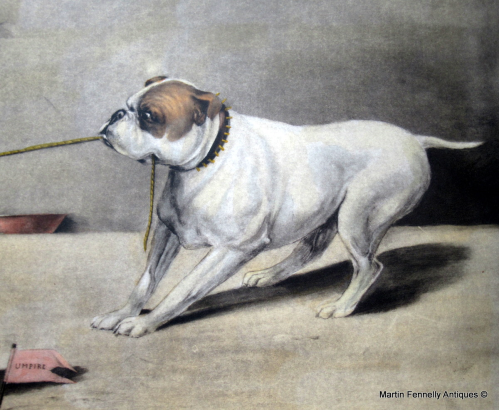 The engraving comes framed and would make the perfect gift for the Dog lover in your life and also any Brexiteer you happen to know.